2. Pamoja! Strengthening Community Resilience . 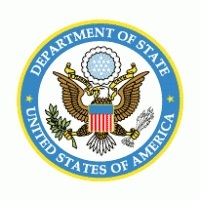 The two projects are funded by the U.S. Department of State and are both based on Community Peace building programming. For more information on the projects you can write to the contacts provided at the end of the ToR. The goal of this evaluation is to determine overall project performance in terms of relevance, effectiveness, efficiency, sustainability, impact, and lessons learned. The evaluation should also establish what outcomes were achieved and the extent they can be attributed to the activities undertaken by Search in Tanzania. Please click here for the full terms of reference. 8. Familiarity, contextual knowledge of and experience working in East Africa, experience in Tanzania contextual challenges is a comparative advantage. • Financial proposal for the completion of the aforementioned deliverables and a short cover letter. Note: Only two documents can be submitted, so the technical and financial proposals must be combined, along with the short cover letter. Incomplete applications cannot be processed. Applications must be submitted to the link at the end of this advert by October 24th.